Hair that is shiny and healthy makes us look and feel great. 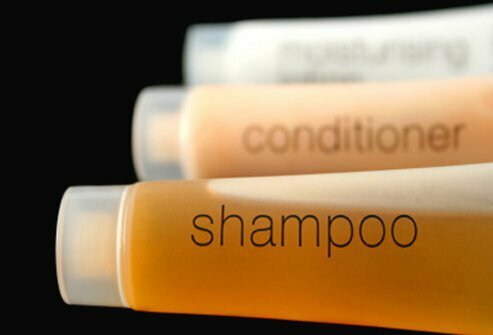 But shampoo and conditioner alone is not enough to get those terrific tresses. The key to a healthy head of hair lies in the foods you eat. Good nutrition is the foundation for a healthy body, including a great head of hair. 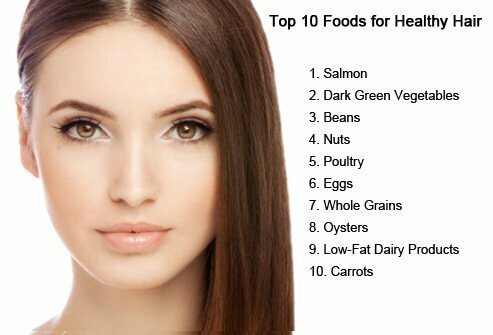 This slideshow contains recommendations for the top 10 foods to give you the luxurious locks you desire. 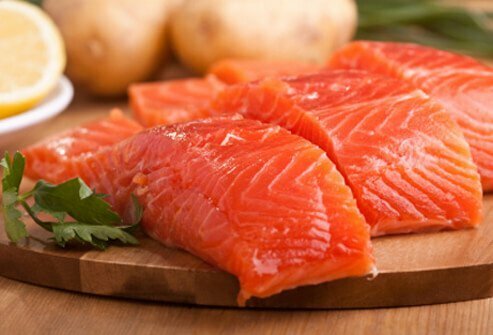 Salmon is a great source of protein, and full of omega-3 fatty acids that are essential for scalp health. Lack of omega-3s can lead to a dry scalp and dull hair. Vegetarians or vegans can get plant-based omega-3 fats from one to two tablespoons of ground flaxseed. Spinach and other dark green vegetables such as kale are excellent sources of vitamins A and C, which are needed to produce an oily substance called sebum. Sebum is secreted by hair follicles and can act as a natural hair conditioner. 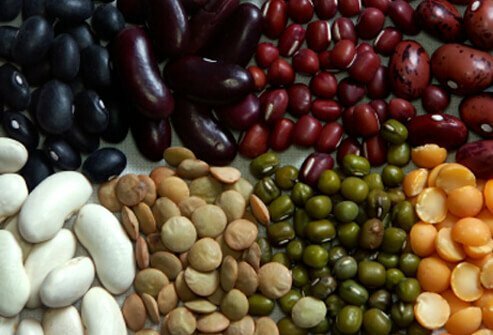 Legumes such as beans and lentils are great sources of protein, iron, zinc, and biotin. Though rare, biotin deficiencies can result in brittle hair. Zinc deficiencies can lead to hair shedding. Nuts are great sources of zinc. 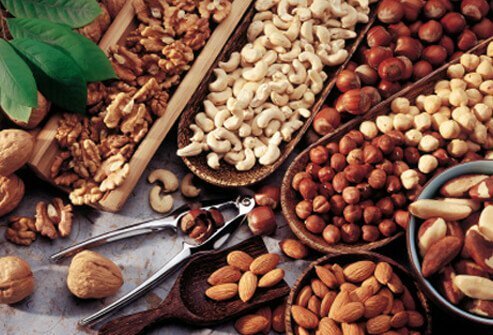 Walnuts, cashews, pecans, and almonds all provide zinc for healthy hair. Walnuts also contain alpha-linoleic acid and omega-3 fatty acids, which may act as natural hair conditioners. Brazil nuts also contain selenium, a mineral that can help maintain a healthy scalp. Inadequate protein in the diet can cause weak or brittle hair, and protein deficiency can result in loss of hair color. 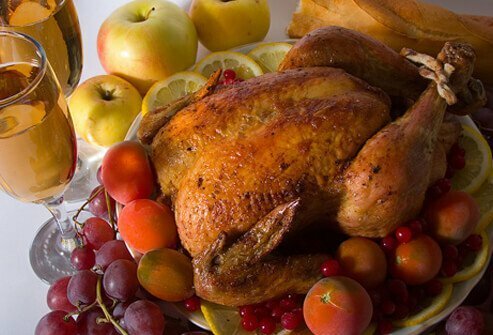 Get the high quality protein you need from poultry, such as chicken or turkey. 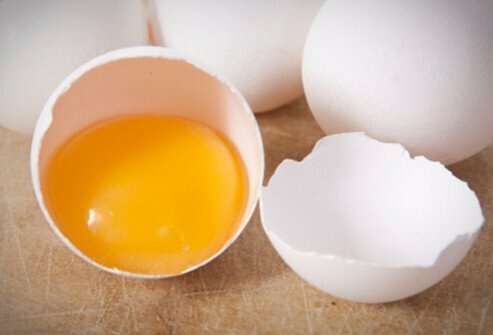 Eggs are a great source of protein, biotin, and vitamin B-12, which are all important nutrients for healthy hair. 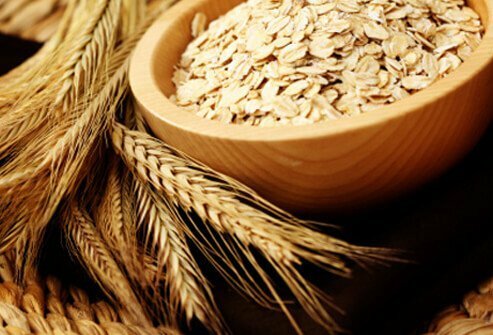 Healthy whole grains can help you get healthy hair. Whole-wheat bread and fortified whole grain cereals can provide your hair and body with zinc, iron, and B vitamins. 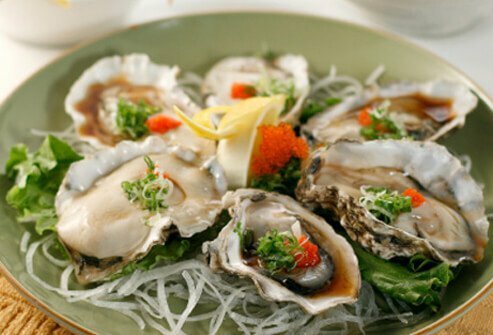 Oysters are known as aphrodisiacs, but they are also great for your hair, due to their zinc content. Zinc is a powerful antioxidant, which can help renew and repair your cells from damage. Not in love with oysters? Zinc can also be found in whole grains, nuts, beef, and lamb. 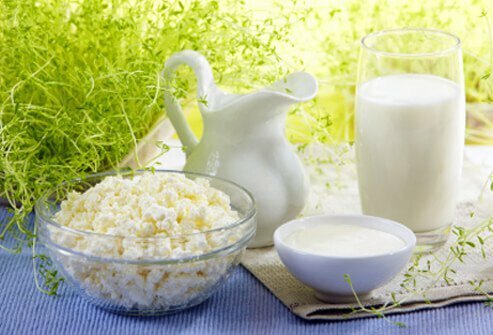 Calcium is an important mineral for hair growth, and can be found in low-fat dairy products such as skim milk and yogurt. These products also contain whey and casein, which are sources of protein. Throw some ground flax seeds or walnuts on your yogurt to add omega-3 fatty acids and zinc. 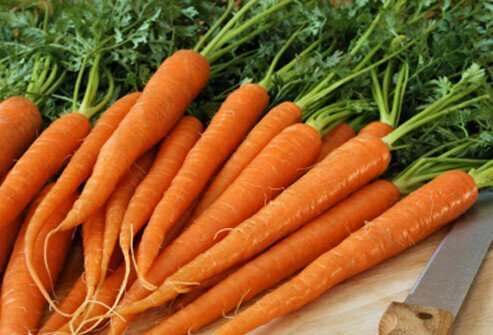 Carrots are known for keeping vision healthy, but they are also an excellent source of vitamin A, which is needed for a healthy scalp. 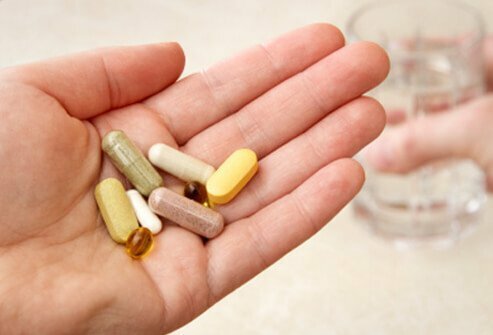 Be wary of dietary supplements that claim they will thicken hair or make It grow faster. 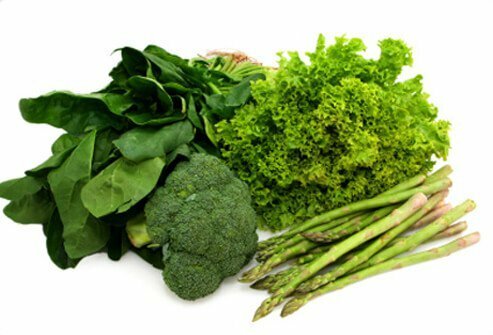 In general, you can get all the nutrients you need for healthy hair from a balanced diet. Sometimes, supplements can be too much of a good thing. In rare cases, excesses of certain nutrients such as vitamin A have been linked to hair loss. Fad diets may leave you with fewer pounds – and less hair. Low calorie diets may be low in nutrients that are essential for healthy hair growth including omega-3 fatty acids, zinc, and vitamin A. 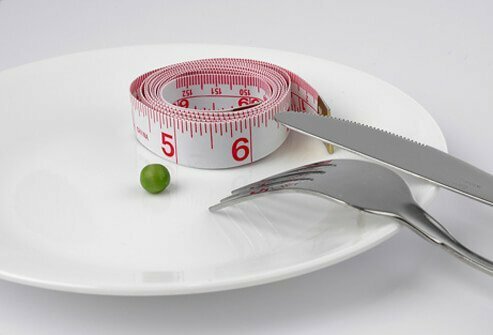 Crash dieting can also affect the normal cycle of hair growth causing an increase in hair shedding. Returning to a healthy and balanced diet usually will reverse the problem. A healthy head of hair comes from a healthy and balanced diet. Eat a wide variety of foods including lean proteins, fruits, vegetables, whole grains, and legumes. Centers for Disease Control and Prevention (CDC): "Nutrition Basics." National Center for Biotechnology Information: "Nutritional Factors and Hair Loss."